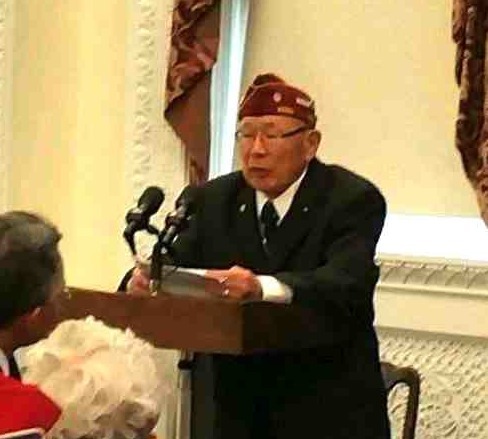 Seven Japanese American World War II veterans met with Secretary of the Army at the White House. 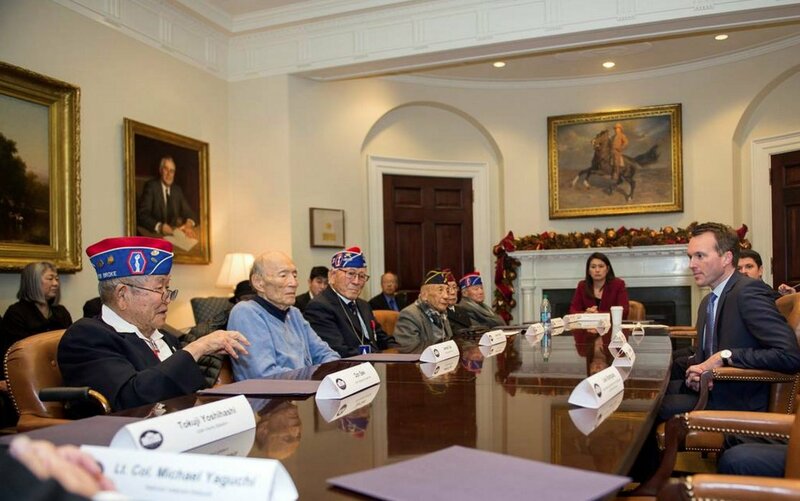 WASHINGTON — Seven Japanese American veterans, along with the National Veterans Network, met with U.S. Secretary of the Army Eric Fanning on Dec. 15. In a closed-door meeting, veterans of the 100th Infantry Battalion, 442nd Regimental Combat Team and Military Intelligence Service freely spoke with Fanning, sharing their military experiences during World War II. They spoke of the hardship and sacrifices made by their unit to prove their loyalty to America at a time when they were looked upon with suspicion based on their ancestry. Nearly 33,000 Japanese Americans served in the U.S. Army, enlisting from the islands of Hawaii and 10 barbed-wire-enclosed camps on the mainland where 120,000 Japanese Americans were unjustly incarcerated. Together, the 100th and the 442nd distinguished themselves as the most decorated Army unit in history for its size and length of service. Subsequently, the Congressional Gold Medal, the nation’s highest civilian award, was presented by the U.S. Congress in the name of the American people to the 100th, 442nd and MIS in 2011. The Nisei veterans and their families in the White House Press Room. These veterans shared with Fanning the reason they chose to serve their country despite the being classified as “enemy alien” by the government. Tosh Okamoto, a 442nd veteran from Seattle, spoke about his experience of enlisting out of the camps. 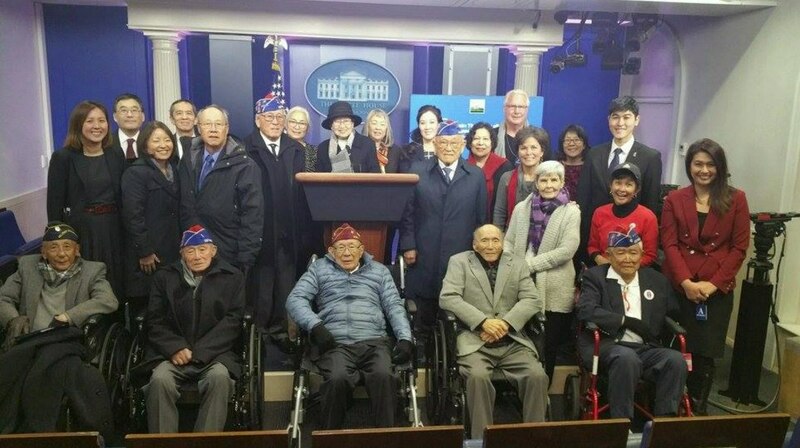 National Veterans Network and the veterans, including Don Seki from West Los Angeles, also participated in the White House Event on Generational Experiences of AAPI and MASSA Communities. 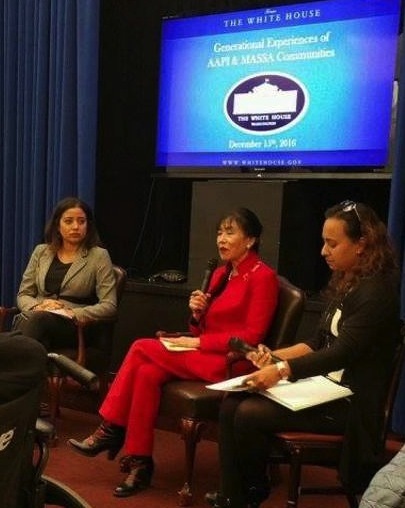 At this standing-room-only event, members of the Asian American Pacific Islander (AAPI) and Muslim, Arab, Sikh, and South Asian (MASSA) communities spoke about their shared experiences with discrimination based on ancestry and religious beliefs. Serving as emcee was David Ono, news anchor for ABC 7 in Los Angeles and producer of documentaries about the camps and the Nisei soldiers. Karen Korematsu of the Korematsu Institute speaks on a panel about parallels between discrimination during World War II and today. Gary Mayeda of Los Angeles, national president of the Japanese American Citizens League, noted that even with 75 years separating the two eras, some of the things happening to Muslim Americans are reminiscent of how Japanese Americans were targeted. 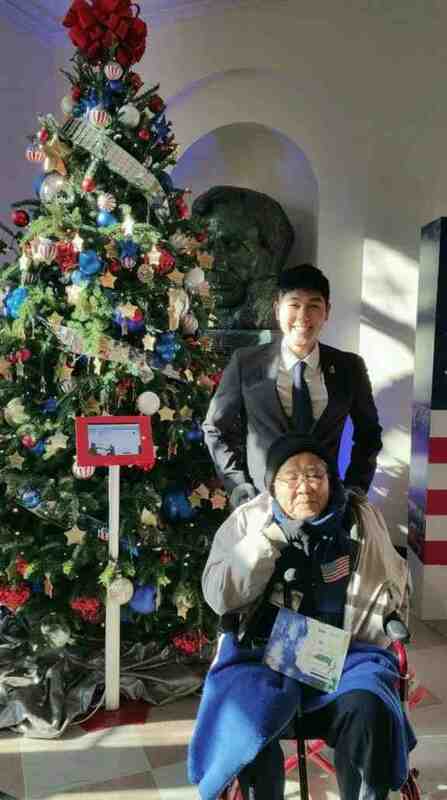 MIS veteran James Tojo and his wife Peggy at the White House Holiday Tour. Tosh Okamoto, a 442nd veteran from Seattle, spoke to the group about his experience in the incarceration camps and how it affected his family. The veterans also took the White House Holiday Tour. The National Veterans Network and the veterans were honored to be invited to the White House and hope that their story of loyalty and patriotism are never forgotten. 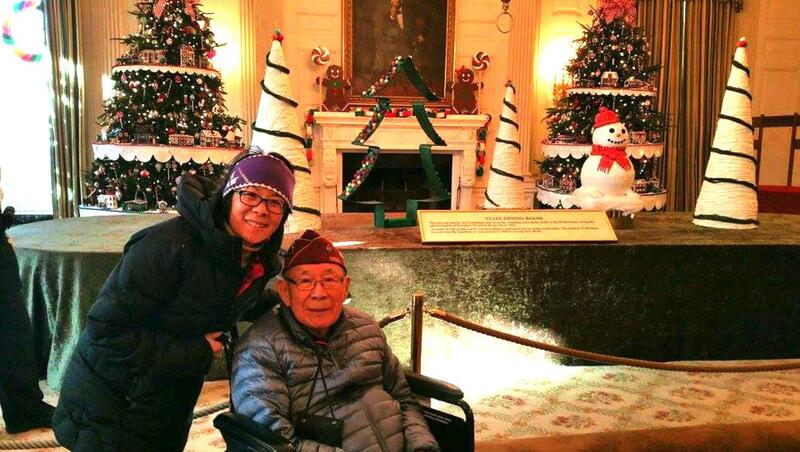 442nd veteran Tosh Okamoto with daughter Sheila Omoto at the White House Holiday Tour. 442nd veteran Don Seki with grandson Evan Seki Matsuyama.